There’s no convenient ~/ command-line shortcut when typing the path on the command-line. However, that’s the only default path you get when you create a boot2docker image for VirtualBox. 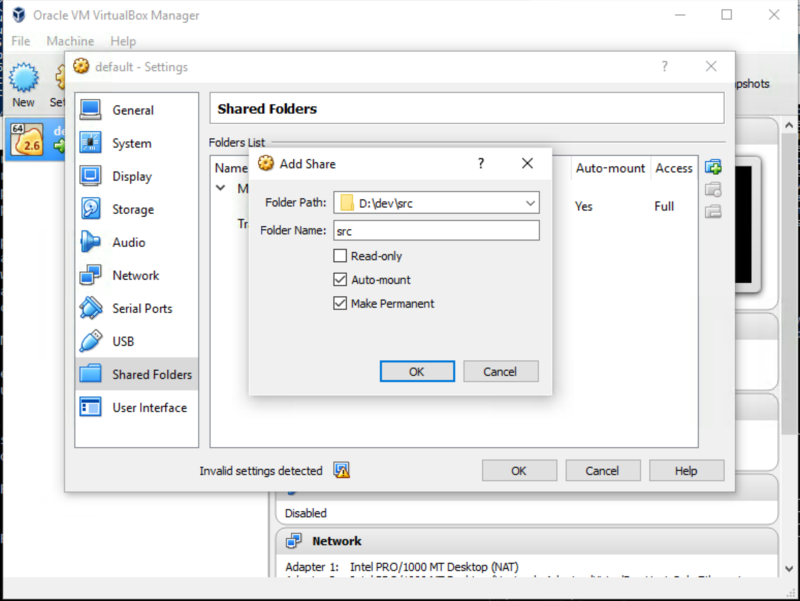 In my last post I showed how to mount a VirtualBox shared folder but as soon as you restart (that never happens on a Windows box) you’ve lost it and have to create the mount all over again. The -p is just in case /mnt doesn’t already exist. id -u docker and id -g docker will use the user id and group id respectively. You could just enter 1000 and 50 respectively and you’d be fine. I think the longer version is more clear and safe. You should see the contents of your shared folder.